A reader left a comment suggesting I try out the survey company MintVine. And that is exactly what I did! I hopped over to MintVine and signed up so that I could figure out if it was a company worth sharing with you–my readers. I really liked what I found. 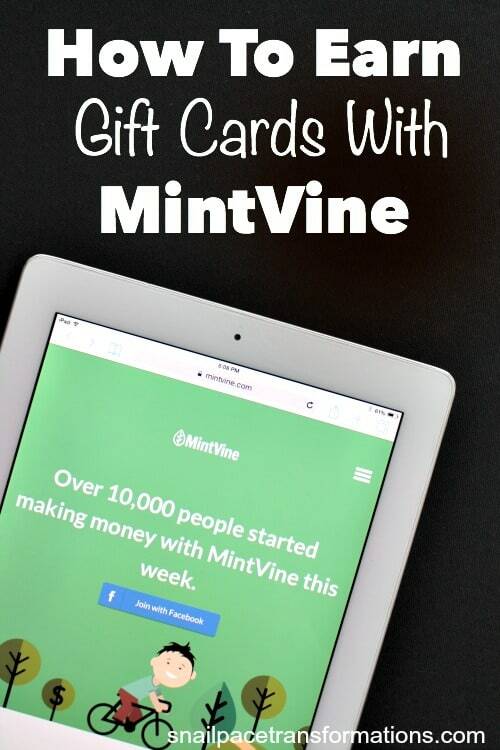 MintVine has a great selection of surveys and offers a low $10 payout with many different options including Paypal, Amazon, iTunes,and Starbucks. It does take a few days to a week or sometimes two weeks for points earned from surveys to be approved, but when I had enough points approved to earn a cash out, it took less than 48 hours to receive it after I ordered it. First head over to MintVine and sign up. Once you have an account make sure to take the time to complete your profile for an easy 50 points. 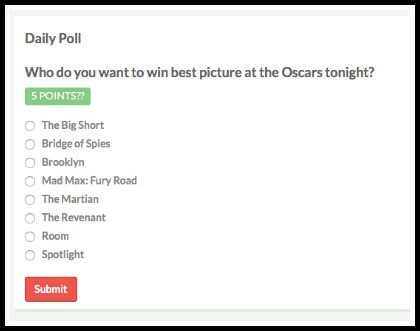 Almost every day MintVine offers a Daily Poll worth 5 points. Considering 1,000 points equals a $10 cash out, that means you earn .05 cents in the 2 seconds it will take you to do this point earning action. Not bad! 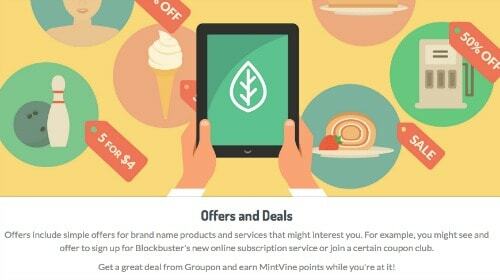 If you like taking advantage of Groupon deals, you can make the deals even sweeter by buying them through MintVine’s Local Deals tab and earning points. The points you will earn vary from deal to deal. In the Offers area you will find several tabs where you can earn points for doing various things such as watching videos, slideshows, and signing up for special offers. What you earn varies from deal to deal. There are some easy point earning activities in this section. 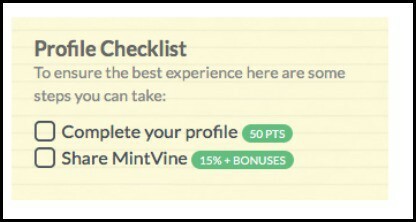 You can earn the most points through MintVine by doing surveys. I like that they show you how much time the survey will take beside the point value of every survey. I did get disqualified several times before I got into a survey, but the qualification questions were short and so it didn’t take me more than a minute or two to be disqualified and offered another survey. With each survey you do complete I noticed you get not only points but an entry into MintVine’s daily, weekly and monthly drawings. The points you receive for each survey vary. It seems like the longer the survey might take the more you will earn. 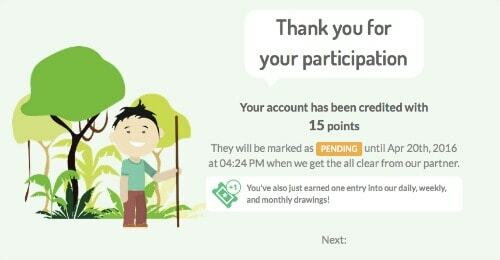 One last way to earn points through MintVine is to refer friends. 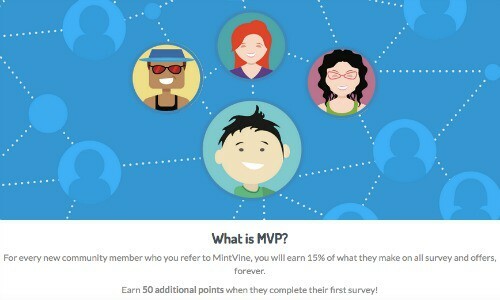 As with any referral program, I recommend you try out MintVine for yourself first to make sure you like it before you refer people. As I said at the beginning of this post, I am impressed with MintVine. There are very few survey companies that I feel can be regular month to month earners for people, but MintVine I feel is one that could be. 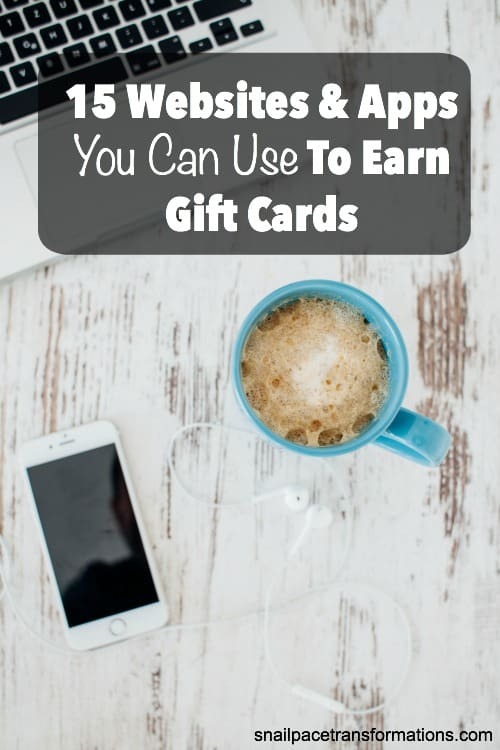 With the low cash out of 1,000 points for a $10 gift card, the large selection of surveys, and the handful of other ways to earn I think it is fairly simple for most people to earn a regular cash-out. Have you tried MintVine? How have you liked it?